The cylindrical Aoy Table Lamp by Achille Castiglioni for Flos features a white opaline glass diffuser and reflector wrapped in a clear glass outer body. Table lamp providing diffused light. 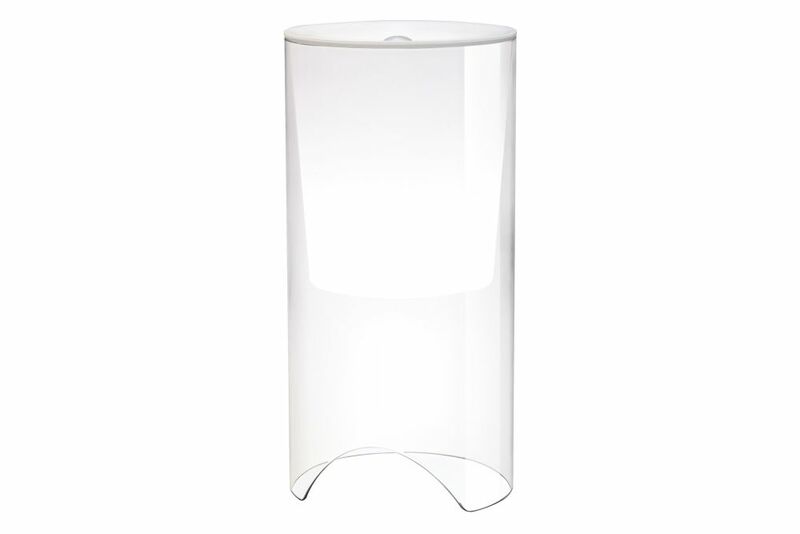 Clear glass cylindrical lamp body. White opaline glass diffuser and reflector.